David Bates is a member of the Church of Satan. He was born and still resides in Chicago, IL with his wife Jezzibel and son David Jr. He is an avid comic book and toy collector, Horror/Sci-Fi movie fan and Gamer. 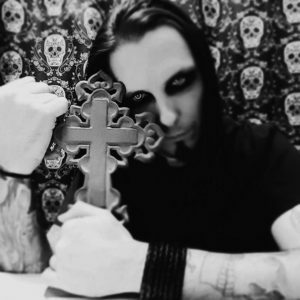 He is the singer/guitarist for Horror metal band “Sinister Fate”, and Drummer for Hard rock band “Proudest Angel”. Also he is a Sideshow performer for “The Sinner’s Sideshow” doing Fire eating/breathing, angel grinder, snake charming, human pincushion, and much more. David is very excited to be your guide as host of Dark Arts. Episode 1 - 9 August LIII A.S.